The malefactor vigourously dragged the heavy ATM machine to flee and escape through the available Minibus, but the driver understands his illicit plan and shut the door. One would wonder how he succeeded in removing the ATM machine from its spot. 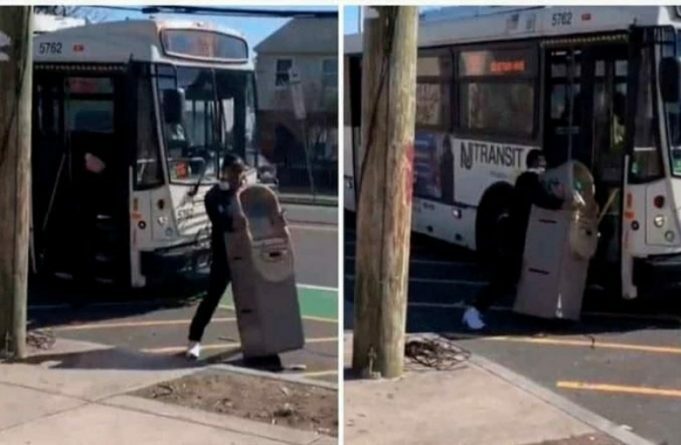 One of the videos that draw the attention of Internet users in social networks has it, that a supposed thief, who shows boldness by stealing an ATM machine and then try to escape using public transport. According to some Twitter users, the curious fact happened in New Jersey (United States). A Twitter user with account name ‘Darius DK’ uploaded the video on Twitter. So far, the scene has gathered 1.7 million views and many reactions and comments. In the video clip of 47 seconds, the man is distinguished by an ATM that he rotates vigorously toward the minibus. 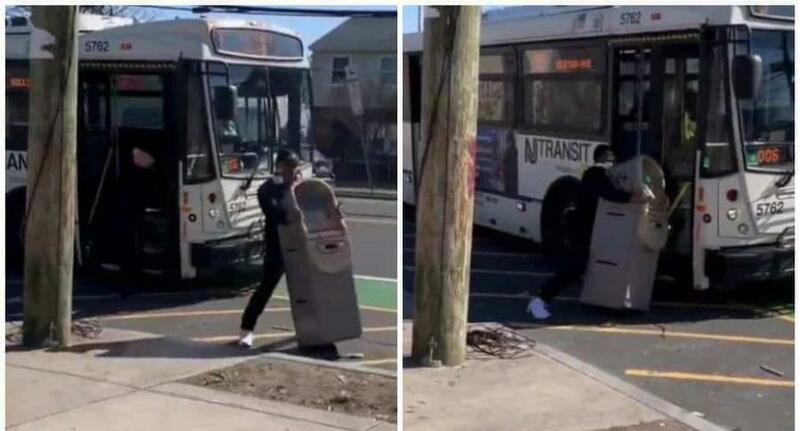 In haste and furious, he dragged the ATM machine near the bus, hoping to perfect his plan to escape. The then driver gives him otherwise by shutting the entrance door. “Are you going to do this to me? Really? We gonna made the money together,” the malefactor is heard loudly shouting at the driver who refused to have him as a passenger because he had a private property object. The reported video on Twitter has not yet been verified by the US authorities, however, they announced that soon they will issue a communication about it.